Share your emotions with this dark woven basket full of lush florals. 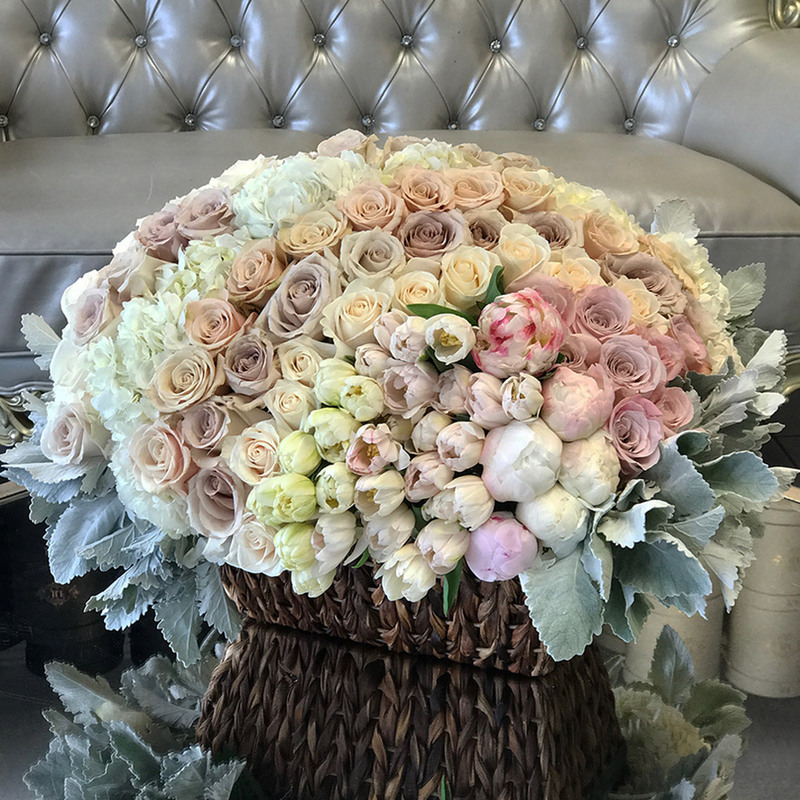 This Beauty is composed with blush roses, white hydrangeas, tulips, peonies and dusty miller leaves. The arrangement in the photo is the large size.